What to expect during your first fertility clinic visit? After you have sent us all the necessary documents, we will meet you for your first fertility clinic visit in our offices in Flint, Rochester Hills, Dearborn, or Bowling Green Ohio. Please be sure to visit the patient information page to view the records & forms we need from you before your first fertility clinic visit with us. Remember to bring a valid photo ID and insurance card with you. 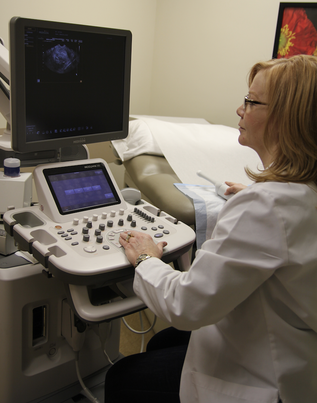 During your first fertility clinic appointment, we will review your specific infertility case. If you have not had the necessary diagnostic tests done previously, we will order the tests for you through our fertility clinic. We will evaluate all your test results and come up with a proper diagnosis for you after we have all your documents. During your follow-up appointment, we will give you a proper diagnosis and we will recommend a personalized treatment plan for you. We pride ourselves in giving each patient special attention which can take time, so expect your first fertility clinic visit appointment to be lengthier than usual. We realize that this process can be very overwhelming and emotional at times but we are here to support you through your journey. It is often difficult to cope with infertility, but we want to bring back the hope into your hearts and help you achieve that. For your convenience, we have many external patient resources on our website that include information on a variety of diagnoses from the American Society of Reproductive Medicine (ASRM).